10 Coolest Family-Friendly Subscription Boxes You Don't Want To Miss! Family-friendly subscription boxes are popping up everywhere these days, and they’re one of the easiest ways to discover new products or contribute to family fun! But if you’ve been on the internet long, you’ve likely seen thousands of different boxes advertised and may need some advice about which one would be best to try. So, to make your choice a little easier, I thought I’d share 10 of my favorite (and fun) selections. These family-friendly subscription boxes range from flowers and festivities to cooking and crafts. Don’t miss out on the fun! 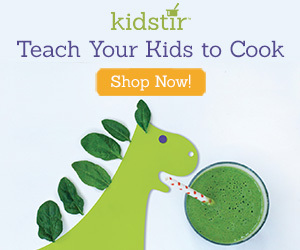 What’s Included: Kidstir kids cooking kits are designed to spark a love of good food in kids! Children ages 4-12 (and their parents, grandparents, aunts/uncles and other special grown-ups) love cooking with Kidstir. Kidstir is focused on building a 12-month cookbook through a family-friendly subscription box delivered monthly. Prepaid 12 month subscriptions also include a BONUS cookbook binder shipped alongside your first kit- a $24 value! Shipping: If you select the current month as your start month, you’ll receive your first kit later in the same month. After that, your future monthly kits will arrive around the middle of each month. Shipping: Shipping on the 5th of every month! What’s Included: Give snack time and playtime an upgrade with BarkBox! A new themed subscription box every month, and every BarkBox has at least 2 innovative toys, 2 all-natural bags of treats, and a chew, curated from each month’s unique themed collection. Shipping: Your first box ships immediately. Following boxes ship on the 15th. Shipping is always free! 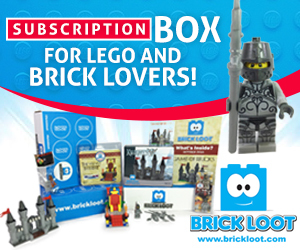 What’s Included: You will receive a Brick Loot box filled with LEGO and brick related items. We search high and low for the newest, coolest and most outrageous items you will not find at your local toy store. All items are hand picked by our LEGO loving team and sure to leave you with a BIG smile! Brick Loot is the creation of 9-year-old Parker Krex (now 13)… how cool is that?!?! Shipping: Boxes ship out the 10th of each month. Early Explorers packages include activity books, stickers, Flashlight Adventures, and souvenirs. 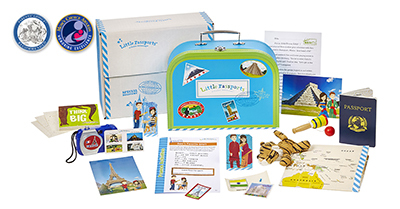 World Edition packages include letters from Sam and Sofia, souvenirs, photos, stickers, activity sheets and access to online games and activities. USA Edition packages include activity journals, postcards, stickers, pop-out models and access to more information, games, and activities online. Science Expeditions include a comic book, experimental guide, tools for hands-on experiments, stickers and online bonus materials. Shipping: Except for the first box, packages ship around the middle of the month. 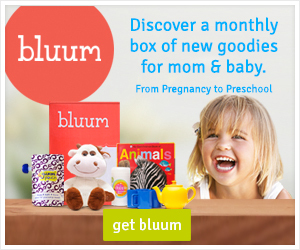 What’s Included: In a nutshell, bluum is a monthly subscription box for awesome, busy parents, to help discover new products to make life with babies, toddlers and preschoolers easier and more fun. Your family-friendly subscription box includes four or more full-sized products each month, curated for you based on your child’s birth date and gender, always with a combined retail value of $45 or more! Products will be relevant to your family, curated for your child’s age and stage, and delivered monthly to surprise and delight you and your little one. 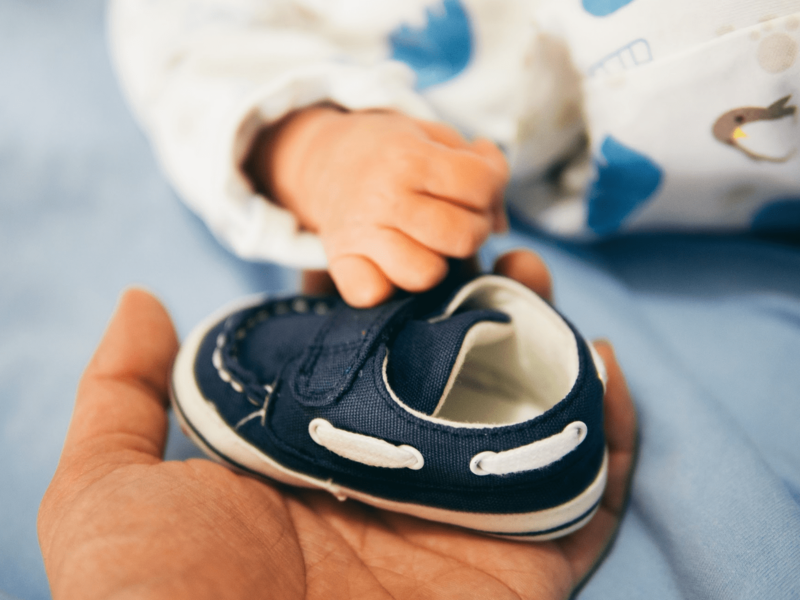 You can bluum from your first month of pregnancy all the way until your bluum baby is in preschool (up to 5 years old), and we know how fast that time flies by! Shipping: When you first subscribe, your first box will ship within 5 days of ordering. After that, your child’s box will ship on or around the 9th of each month. What’s Included: A surprise box filled with unique items that portray magical stories and encourage children to Dream Big! Each magical box transforms into a scene from the story and may include Princess figurines, fashion accessories, goodies and our eco-friendly box. Shipping: Depends on when you sign up: Disney Princess Pleyboxes are released every two months (January, March, May, July, September, November and January) Accounts started before the 7th of the month following a release month will receive the current box. If you sign up from the 7th and on, you will receive the following box scheduled (ie: signup by 4/6 for a March box). What’s Included: You’ll get a seasonal box filled with 8-10 full-sized, premium products valued at over $200. Each season choose products & add-ons you want in your box. Or keep it a surprise. You’ll love it either way! Indulge in the best in beauty, fitness, wellness, home, and everything in between. Don’t forget to #fabfitfun when you share! With your membership, you can work out anywhere with FabFitFunTV and shop exclusive member sales. Shipping: Your first box will ship within 10 days of purchase. What’s Included: A surprise box filled with unique items that teach about animals, nature and our world. Travel to new countries every other month and rescue an extinct animal while having fun! Each box includes activities, toys & accessories including educational digital games themed around an ecosystem, that kids love to play with and share. These toys & accessories can include, tattoos, wristbands, stickers, pins, animal fact cards, figurines and educational digital games that explore our planet. Learning also continues online. Using a secret code included in the mission kit, kids log in to Mission Center to join our characters Kia and Kyle on an exciting virtual adventure. Shipping: Once you sign up you will receive the first box within 30 days. The stories are sequential so it will always start at the first box after you sign up. What’s Included: Each monthly subscription box contains a fresh handpicked bouquet delivered directly from our farms around the world. Our blooms come in three sizes—Small, Medium and Large. You can also order a single delivery or subscription as a gift! From selecting only the finest seasonal blooms or traditionally beautiful bouquets, every bloom will be carefully cosseted in our signature Box for a flawless arrival at your door. Seasons change and so will your Bloomsy Box! 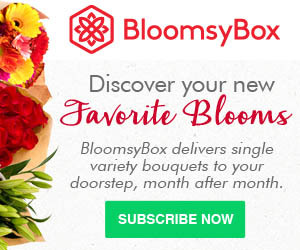 Shipping: Your first BloomsyBox will be delivered within 5-7 days after order. All other deliveries will be made between the 16th or the 23rd of each month unless specified otherwise.